Heat oven to 400. 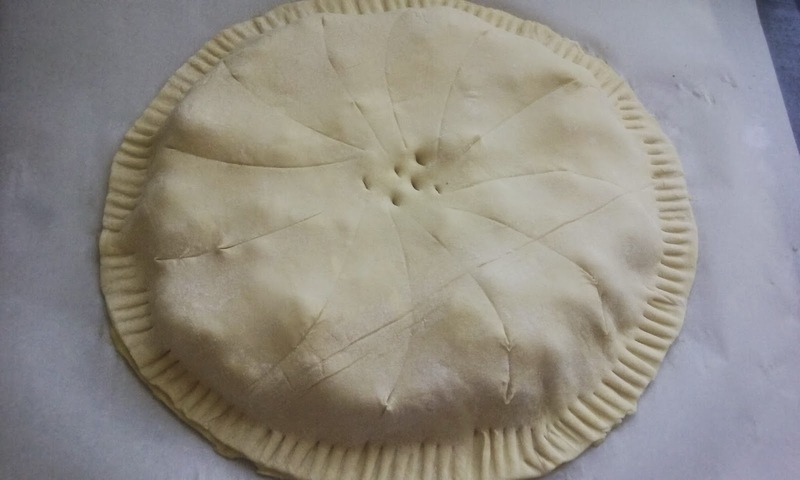 Unfold each piece of puff pastry...at this point it should measure 9x9". Roll each out to an 11x11" square. 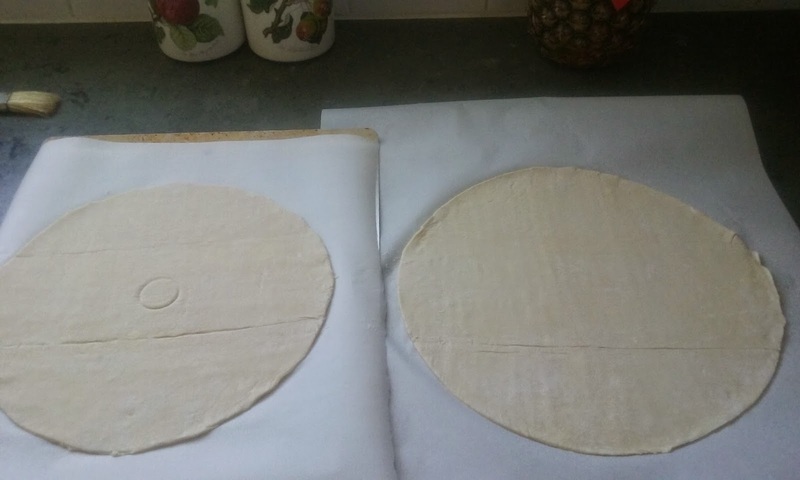 Roll out one pastry to a 10" circle and the other one to an 11" circle. I used a dinner plate for the 11" and an angel food cake pan for the 10", cutting around each with a knife. Set each on a parchment-lined baking sheet and put in the fridge. 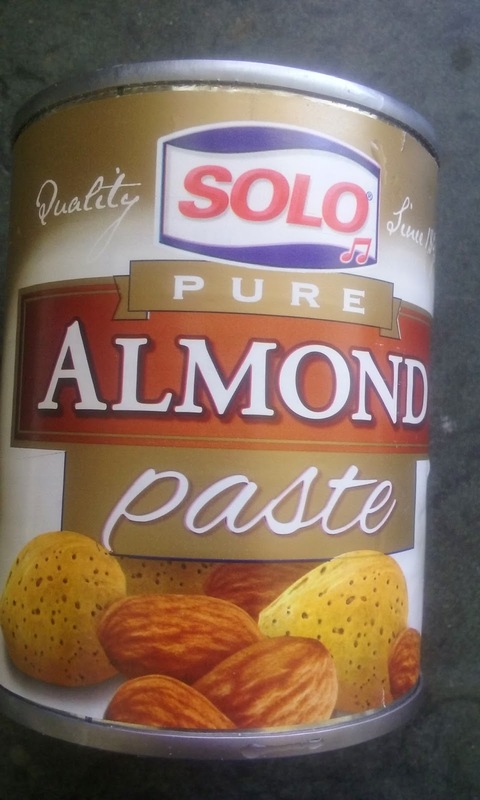 Beat the almond paste, butter, sugar and salt until creamy. Add the eggs and vanilla and beat until well incorporated. Mix in both flours. 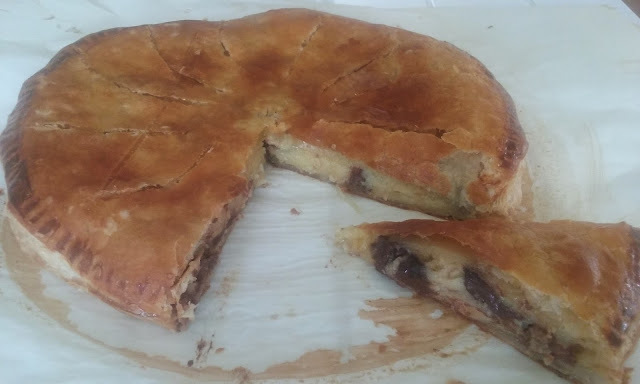 Stir in chocolate chips and almonds. 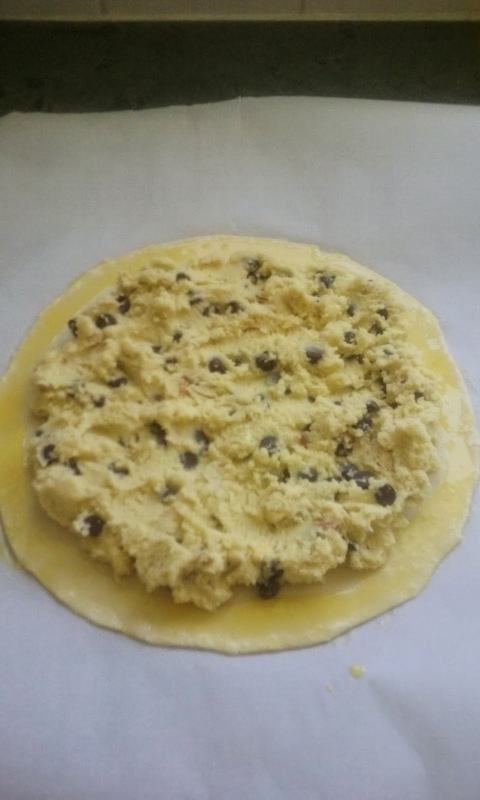 Take out the 10" circle and spread the filling all around, leaving a 1" rim around the edge of the pastry. 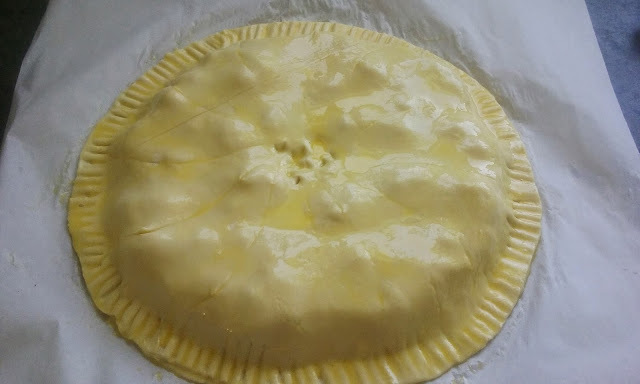 Mix the egg yolk and water together in a small bowl and brush it over the uncovered edge of the pastry. 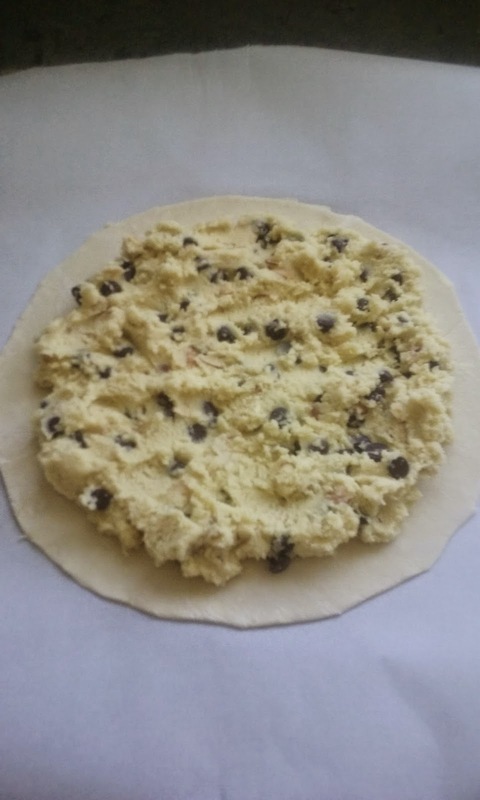 Center the large round of dough over the first, and smooth it out over the filling. Press all around the edge and then using a fork, crimp the rim of the galette to seal. 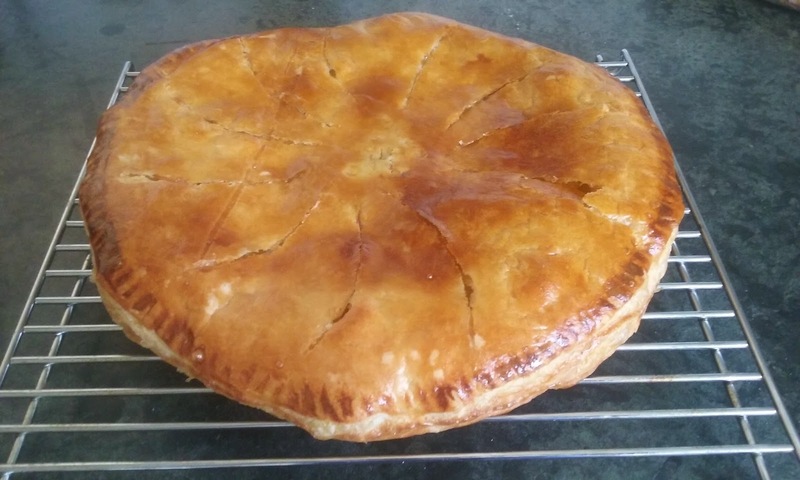 At this point, you can decorate the top of the galette, slicing swirls, lines or curves on top. Poke five vent holes in the middle, then brush all over with the glaze. Bake for 25-30 minutes, or until it is golden in color. Bon appetit!